Photographs: In the Jimmie A. Dodd Photograph Collection, 1937-1966; 12,453 negatives (safety and nitrate base film). 32 gelatin silver prints. 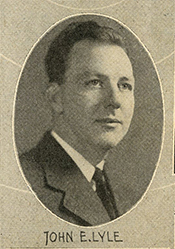 Persons represented include John E. Lyle.